Being at NLIHC has been one of the most immersive and incredible experiences a policy intern could ever ask for. Not kidding. Because I know with twisted absolute certainty that I would not trade my first time working in Washington D.C. for any other time than now. Why? Because I have learned more while fighting against majority interests than I could have while comfortably defending them. I applied to be a policy intern at NLIHC for a variety of reasons, but one of my biggest aims was to explore a policy realm I had less experience in. During my coursework at Cornell, I had studied a variety of entitlement programs such as Medicaid, Medicare, Social Security, and SNAP which made my belief in their importance resolute. A piece felt missing, and that piece was an understanding of the importance of housing, which could fairly be considered the most important part in the security of low-income families. 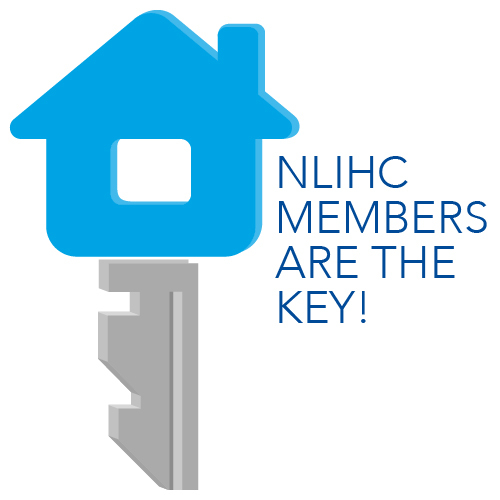 NLIHC’s mission of supporting socially just policy that promotes access to housing to those with the greatest needs greatly appealed to me, and I was blessed with the opportunity to hit the floor running this January. The facts I learned about the affordable housing crisis were staggering. Nationwide there are 35 units affordable and available for every 100 extremely low income Americans. Waitlists to receive help are in the thousands in many cities. Only one-quarter of those who qualify for housing assistance receives aid. And so our job was to spread the message. Attending meetings on Capitol Hill with the Policy Team to talk with Congressional staff about these issues was invigorating: I had never imagined I would be this close to the people crafting policies changing the lives of everyday Americans. I learned more than I ever thought I would, and I am confident I will use it in future work and advocacy. To conclude, I’d like to talk about the three most poignant truths about policy during my time interning in D.C.
Change is less like water being poured out a pitcher and more like miraculous tiny drips and splashes. Every optimistic and starry-eyed Political Science major wants to come to Washington to see the curtains drawn back on what our government does. To watch big changes pour out of the doors of the Congressional chambers and to bask in the glow of them. I was no exception. Peculiarly, being here has shown me that big changes take time. Even though the idea of quick solutions is encouraging, there is no doubt that Congressional staffers and members put so much time and effort into the work they do in order to craft the solutions they believe in. For the job to be done right, quick-fixes just are not good enough. If for example, Congress allocated one trillion dollars in a block grant to a good cause (affordable housing, to be especially pertinent) with no mechanisms for oversight or no thought about what the disbursement guidelines will be, funds could easily be misused in a variety of different ways that could not only not solve the problem but exacerbate it. Policy, though expansive, should be carefully crafted and not taken lightly in order to be effective. Do your homework. Knowledge is power! Understanding the issues is the first step in solving them. When I first stepped into the office, the first thing I was instructed to do was to read up on housing programs, and I could not believe how large the issues are. As an advocacy organization, we strive to provide facts and data to offices so they can make the most informed policies and decisions. So even someone who is not an advocate but just wants to have a policy position should search for facts far and wide in order to come to a decision. Compromise is inescapable. If the government was about always getting what you want, life would be simple (and would lose almost all of its intrigue). Compromise is inevitable, and a big part of a long term strategy. In today’s climate, it may be tempting to retreat to one side of the aisle and not entertain the idea of a middle ground. But that gives up the fight entirely! Find middle ground when possible while still fighting for what’s right. This doesn’t work when an issue is black-and-white, but in many cases having support on both sides is better than fighting alone. Throughout my time as an intern at NLIHC, I have had the opportunity to delve into affordable housing policy. It’s been a better primer than I ever could have asked for. Being here when tax reform has reemerged onto center stage and in the midst budget battles has been incredible. Being here when the fight is just beginning has been amazing and I cannot thank NLIHC enough for the opportunity to fight alongside you.